WizardCraft adds RPG style magic to minecraft. It gives you a Mana bar and allows you to craft and enchant Elemental Staffs that use your mana to cast spells with varying effects. WizardCraft is a reinvention of the Minecraft Magic Mod. Officially it is Minecraft Magic Version 3, however, due to the extensive changes to the code and the design of the mod I decided that a new name would be used so that WizardCraft could start again from version 1. 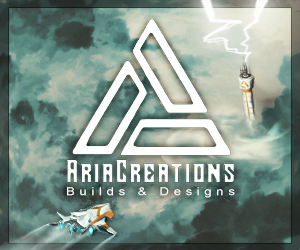 For more information Visit my Wikin there you will find all the latest information, downloads and recipes for WizardCraft, Minecraft Magic and any other mods I'm working on. WizardCraft also adds an Enchanting Table which MUST be crafted before you can create any Elemental Staffs. The Staffs are made by combining an empty Staff with an Elemental Orb using an Enchanting Table. Each upgrade of the each Staff adds a new spell. The Spells are split into four levels. R: Activates or Deactivates Magic Armor abilities while equiped. Key bindings can be changed in the magic.properties file. see Configuration Wiki. Thank you to Tawniey for the awesome Staff sprites! Check out her DeviantArt. A "wise" young wizard sat in a great floating tower at the center of a ngreat city. He had spent many years researching the materials that he had discovered in his world and was on the brink of discovering the secrets of Redstone. Unfortunately, for him at least, the "wise" wizard was rather clumsy and at that precise moment he spilt his collection of Redstone all over his furnace. With a termendous bang blue sparks showered the wizard, "Bugger!" he exclaimed as he frantically tried to put out the small fires that were starting all over his tower. In his haste he nearly missed the marvelous new material he had accidently created. He studied the strange blue dust carefully and began combining the dust with common elements found in his world. Maybe make full armor for all elements? 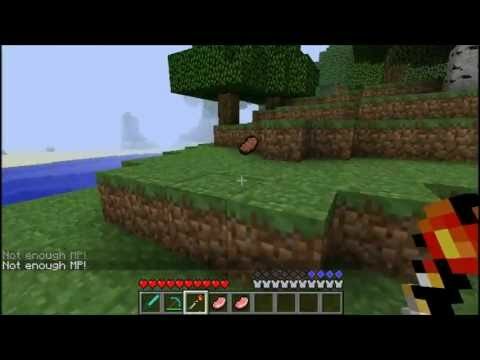 CAN YOU PLEASE ADD A DOME OF WOOD OR NETHERRACK LIT ON FIRE AND MAKE MEGA SPELLS W/ MEGA STAFF THAT HAS ALL ELEMENTS COMBINED!!!!!!!!!!!!!!!!!!!!!!!!!! Is the world mod completly fineshed? Just make your own. Then you're the boss. As a future spell, you should add something like "Ice Shield" that creates a 3x3 wall of ice four meters in front of the caster. i really like this mod and i'm going to use it with Battlegear mod to make a rpg styled battle server soon. Will it work with SDK's gun mod? It says at the very beginning of the description, "Please visit the forum thread to download the latest version as I'm unable to upload it here." I have searched for something like this a long time!!! I have noticed that the progress bar has been stuck at 85% 4 a while, is everything going well? I cant wait until u update it, i didn't update my minecraft until 1.0.0 came out bcause i didn't want 2 play without this mod! Please work to the best of ur abilities. Long live the worlds of witchcraft and wizardry! yeah, does it work 4 1.0.0? dose it work for 1.0.0? Notch must have taken the idea of enchanting from this mod, he MUST have. Good job. yeah can you make it 1.8? Are you actually going to update this to 1.8 or just wait for 1.9? Is this gonna be updated for 1.8? Does this work with single player commands?